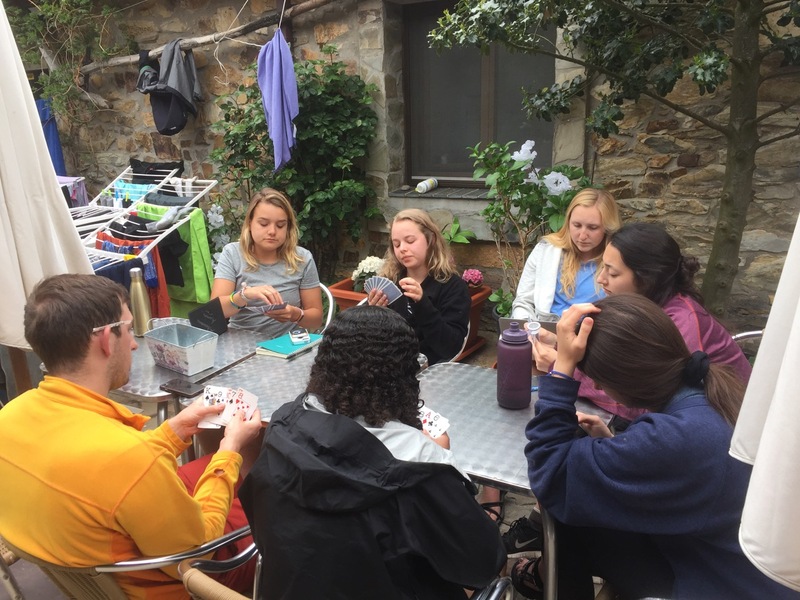 Hokies hiking the Camino de Santiago – Page 3 – 14 Hokies. 300 Kilometers. Two weeks. 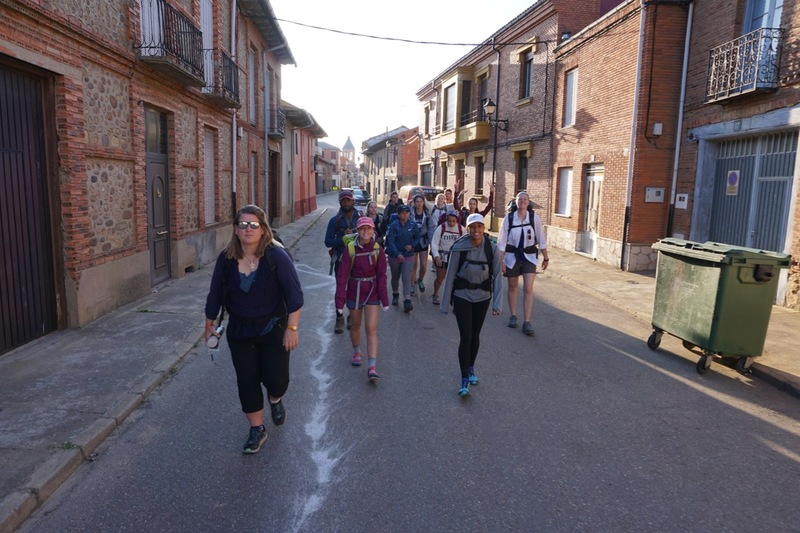 In the four days since we started walking to Santiago, I have continually been amazed by the spirit of the Camino. Everyone we’ve met has been so supportive and welcoming to us. The Spanish people are always so friendly and willing to offer a smile and wish us a good journey. 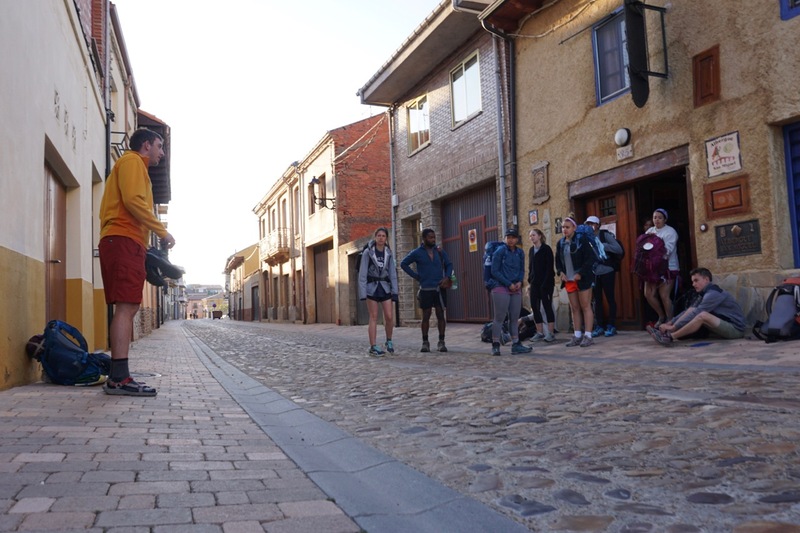 When we arrived in Hospital de Orb igo on the second day, there was a race going on through the town and we stepped aside on the bridge to let a group of runners pass by. As they ran by us, we shouted and cheered them on to finish their race while they cheered back at us and shouted “buen camino”. The people we meet while we are walking speak different language, come from different countries, and have been walking from different distances, but they are always happy to hear about where we come from and offer some kind of advice or encouragement. 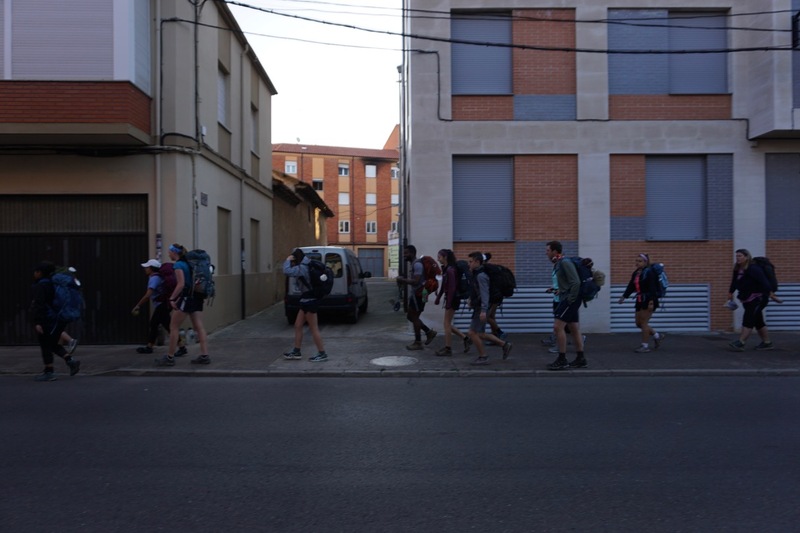 Even among our group, the Camino took 12 students who were almost all strangers and made us into friends in less than a week. After walking together for 4 days, I feel like I have known these people for months or years. I feel comfortable telling them things that I don’t normally talk about with people I’ve known for only a week. Right away, everyone has been so inclusive and generous—sharing bandaids or snacks or ibuprofen. 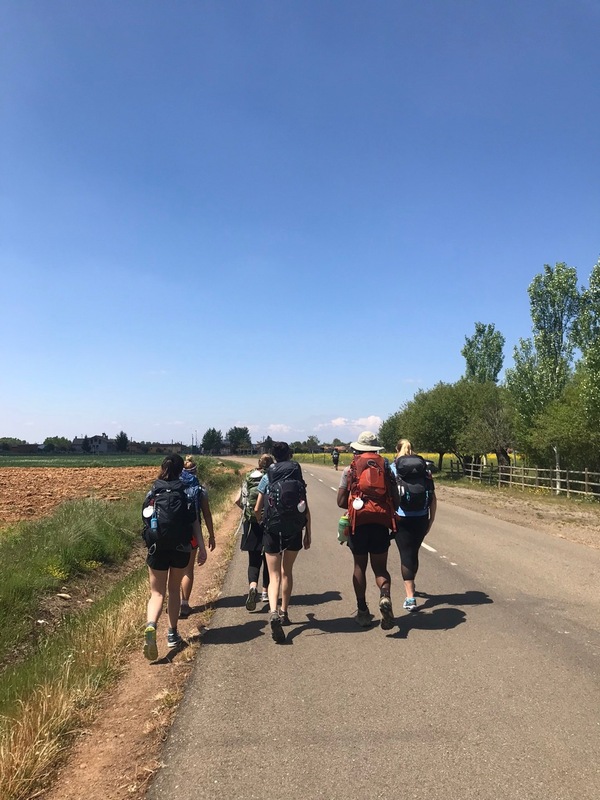 We have shared so many memories and laughs, and I am so excited to see how our friendships continue to grow as we continue on the Camino. 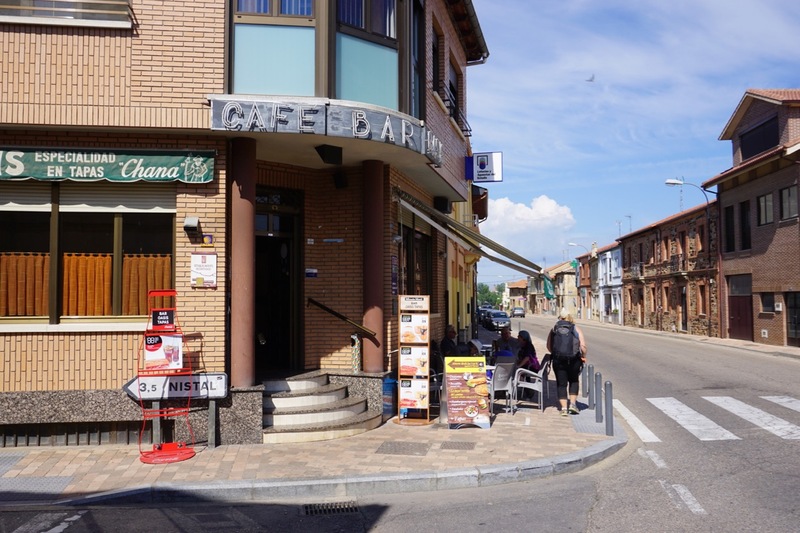 On 22 May we walked our longest day yet, some 25 kilometers up and out of Astorga to Rabanal. Along the trail, we have come to learn that there is an unspoken connectedness between the peregrinos and the physical trail itself. The key concepts that link the pilgrims to the road and each other have a overwhelming effect on the community. 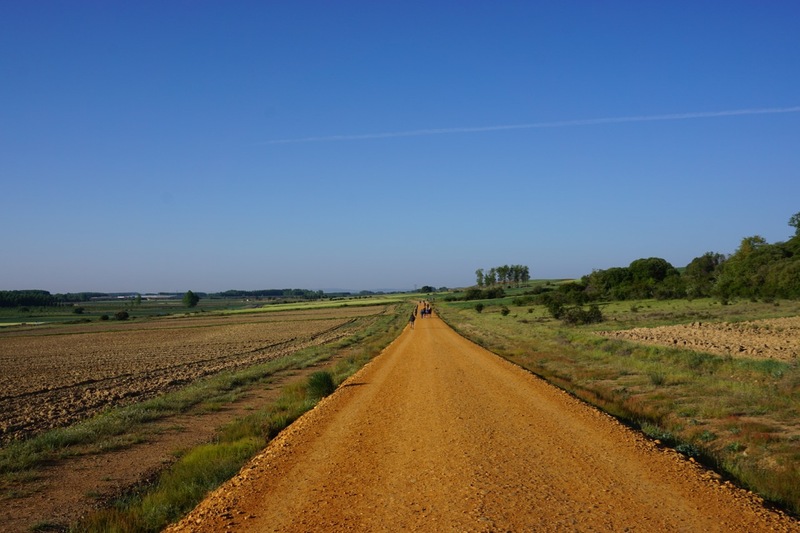 The two main mottos of the trail really speak to the amicable atmosphere that follows the Camino de Santiago. 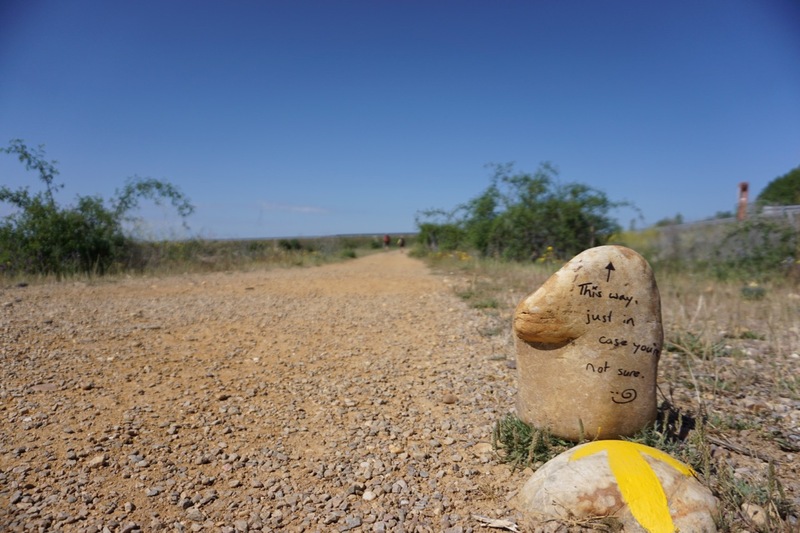 The first saying speaks to the interconnectedness of all people on the trail by reaching out to passing pilgrims with the simple greeting, “Buen camino.” The most contact with the saying is between the pilgrims themselves when they are in the middle of the long trail who reach out to wish others luck on their journey. 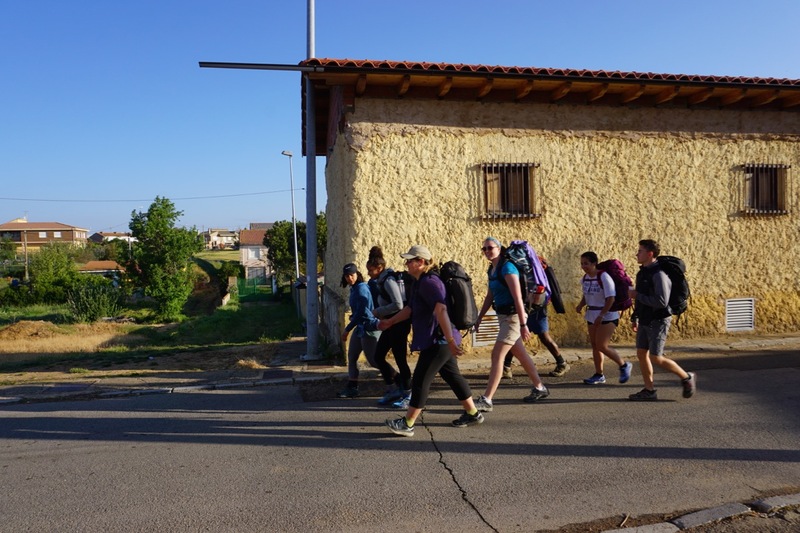 It doesn’t matter if the person is stopped, resting or practically running, the automatic response to a nomad with a backpack is,”buen caminio.” The other side of the greeting is when the initiator lives on the trail itself. 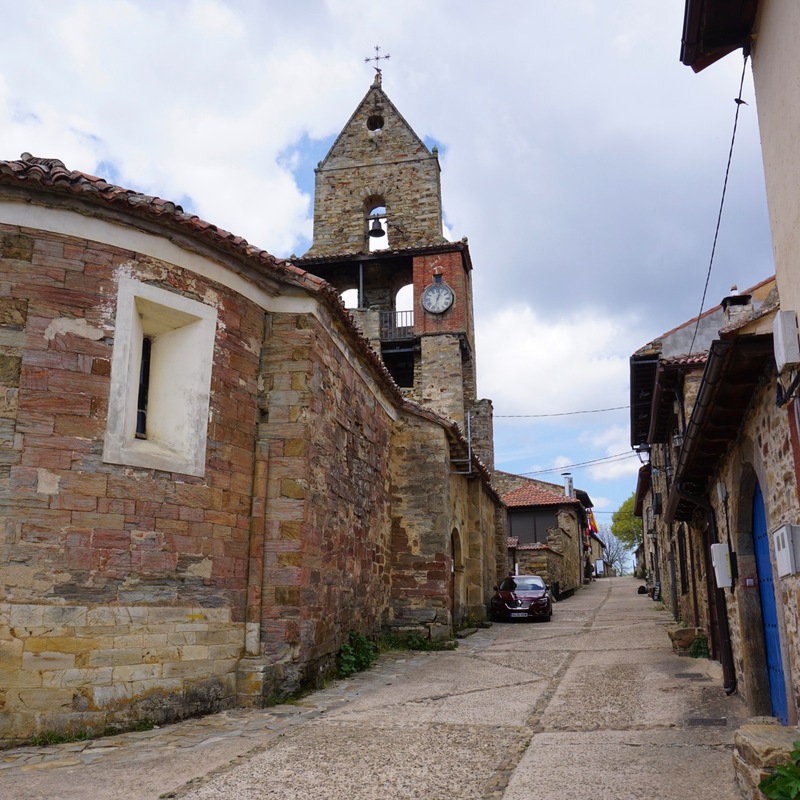 The majority of these residents live in pueblos that exist solely to serve the pilgrims, subsequently, the residents find much pleasure in wishing the travelers a sound trip. 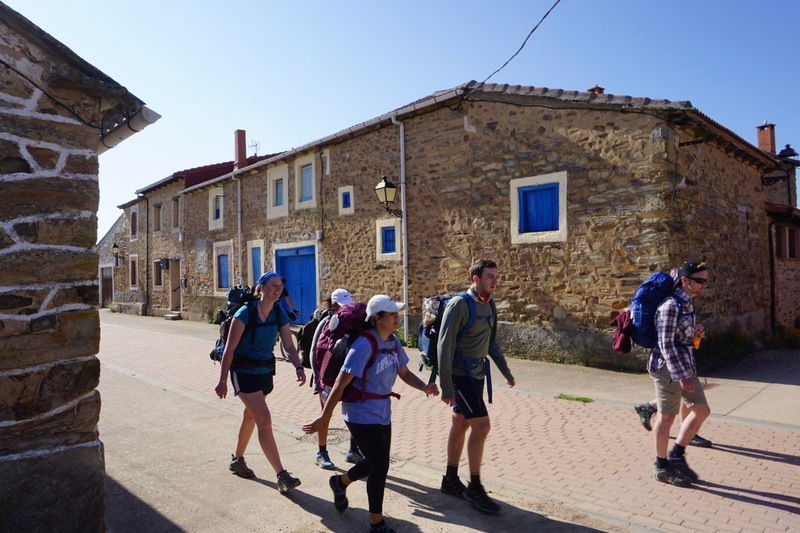 The second motto, “The Camino de Santiago provides,” truly, comes alive, mostly, through the actions of those on the trail. This saying requires faith; spiritual or secular are necessary. Since everyone’s experience is different, this concept comes to fruition when someone may need it most. For example, people leave shoes along the trail for those whose split or those who have too many blisters to continue with their own. There are boxes that say “take or leave” that exemplify the contributions given by everyone. Or perhaps, my favorite example, there are many food stands in the middle of the trail that run on donations by the people. The hospitality of the people is the epitome of the motto. 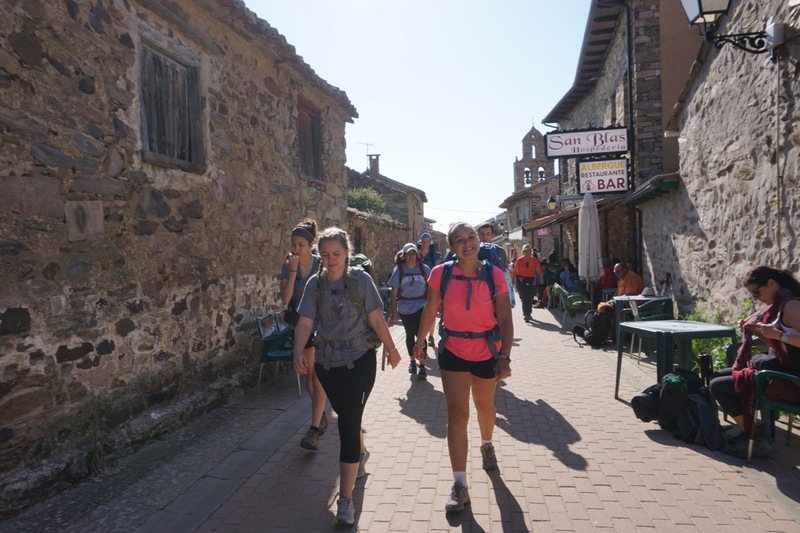 It is hard to imagine the appreciation of a peregrino when the camino undeniably provides. 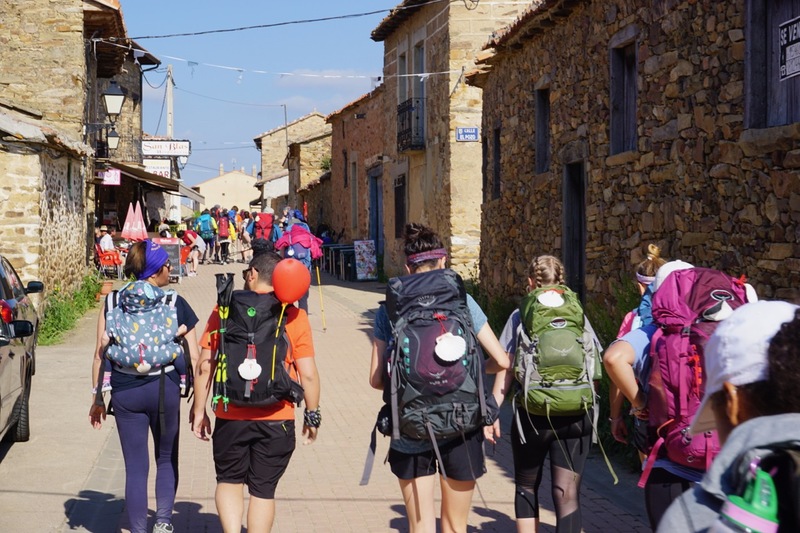 The trail was physically constructed with the destination in mind, while the community surrounding the Camino, focuses on the goal of reaching Santiago safely. 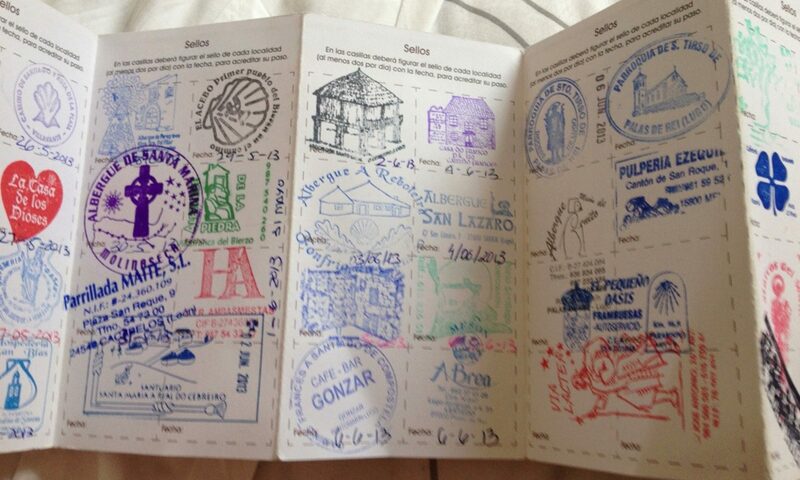 The physical marks of the trail reflect how the surrounding Spaniards protect the pilgrims. 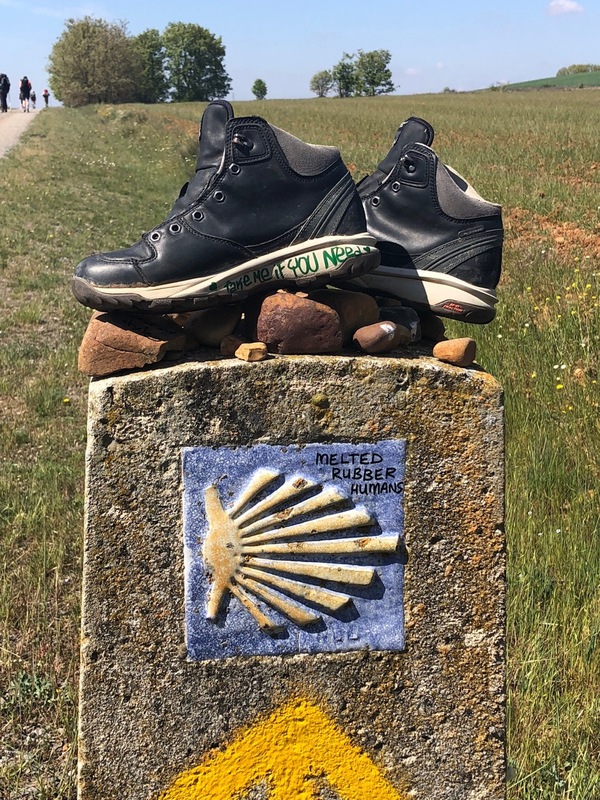 Through the phrases, hospitality partners with the spiritual vibe of the Camino to insure the overall safety and happiness of those who seek Santiago. The weight of these phrases cannot be translated well due to their flexible sense of associated emotion. 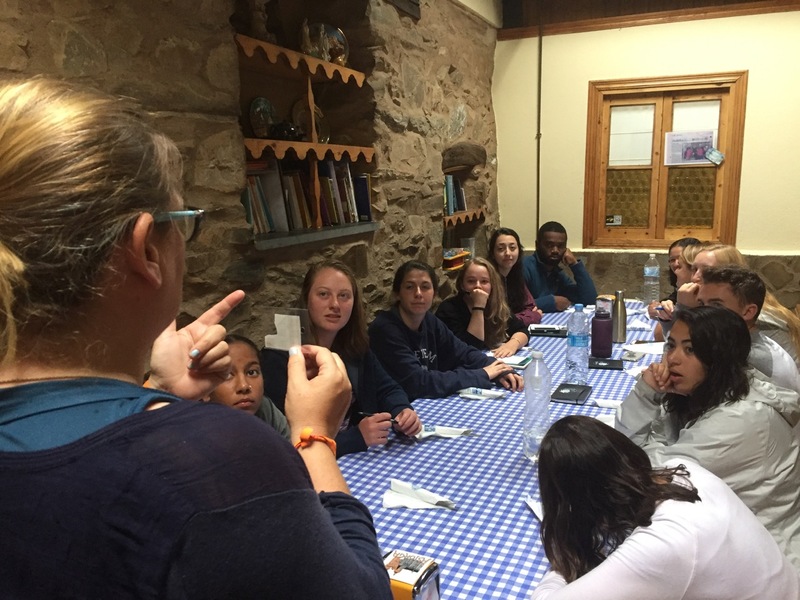 The general connotation of both mean to represent the open arms, hearts, and minds of the Camino community. 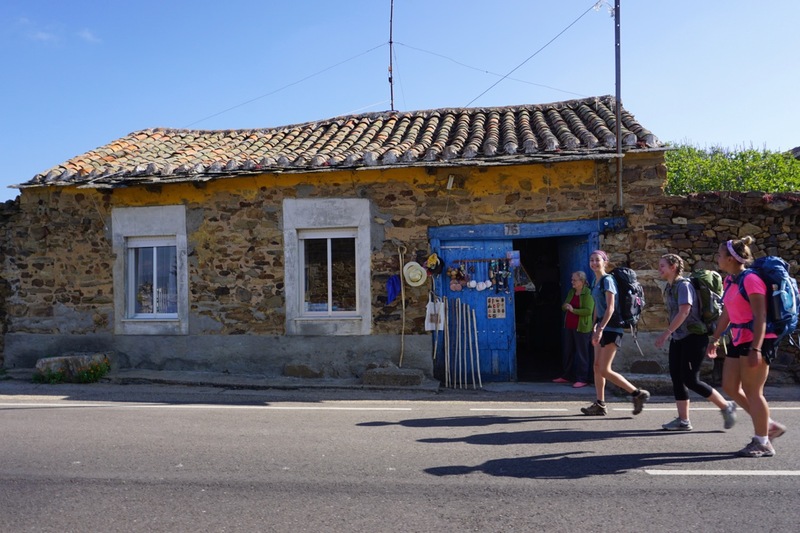 The Camino is more so comprised of the people, rather than than the physical path. 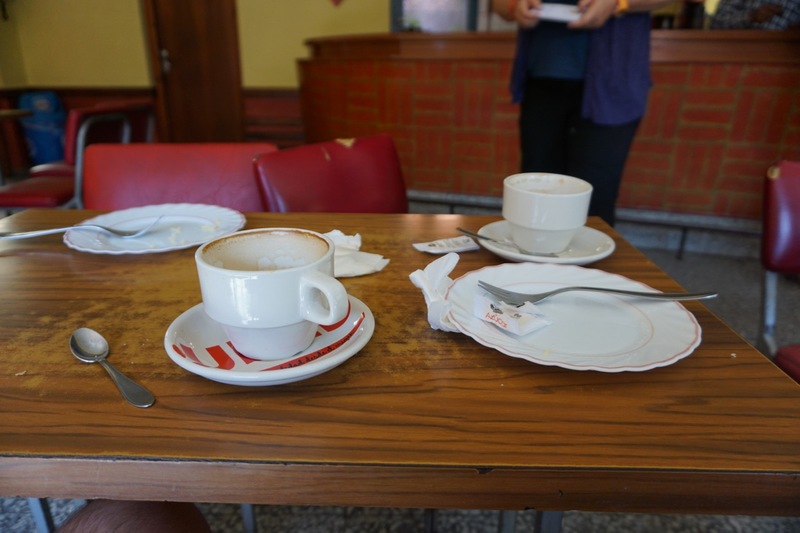 The morning of 21 May sees us up early and ready to walk to Astorga (16.5 km). Then get ready to walk. And walk. Once out of town, the road is nice clay earth and rock for most of the way. Many of us agree that this is better than the pavement. Others find all the rocks kind of tricky/trippy. Second Breakfast. 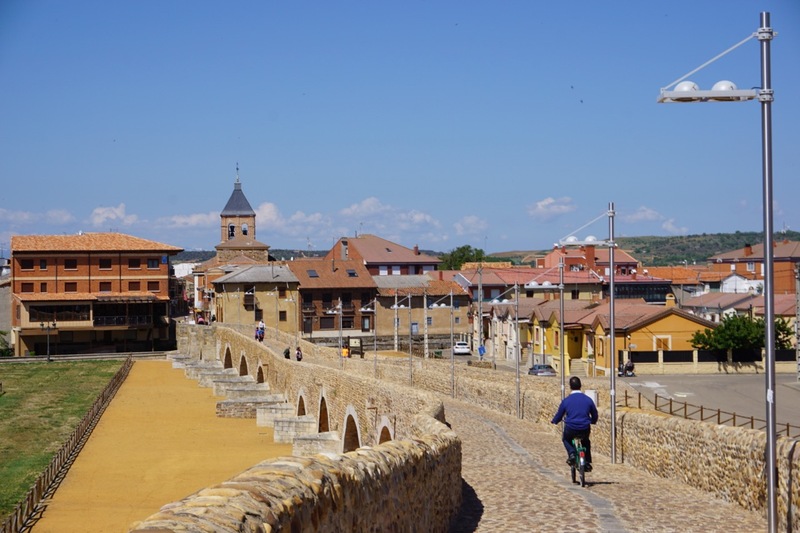 We can see Astorga only a few kilometers away in the distance. 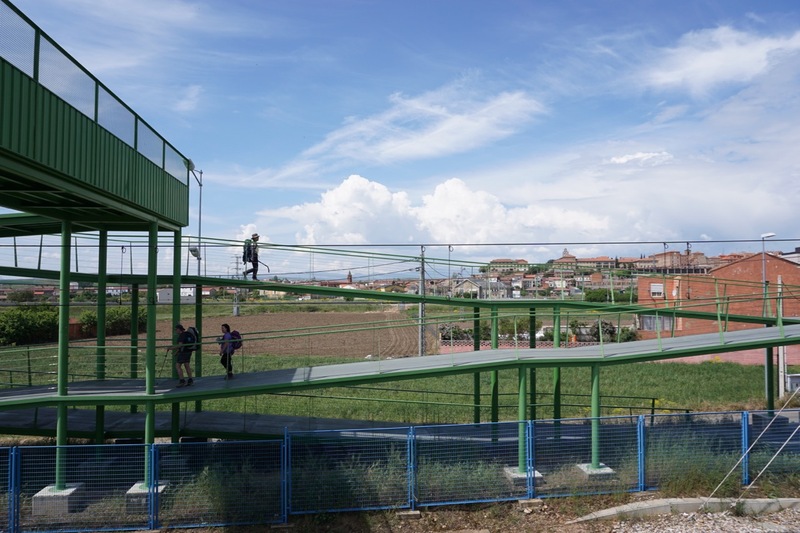 Just past a pedestrian bridge over a the railway and we’re practically in Astorga. 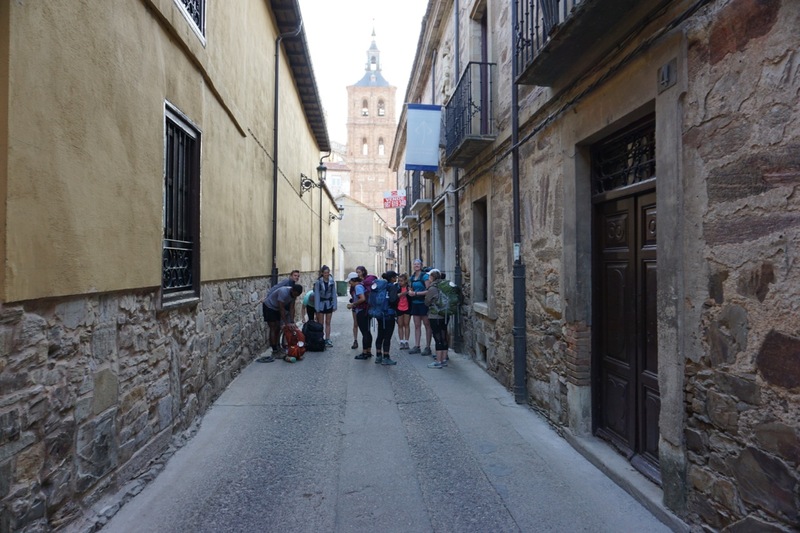 The Camino is portrayed in many ways. For each peregrino, it represents something different; a challenge, a journey of self-reflection, or a chance to meet other travelers from around the world. These symbols and representations are all beautifully portrayed in the paintings of the Albergue de San Miguel. As you walk into this inviting place, you see sunny yellow walls and bright skylights that let the sun shine through. Each wall is adorned with countless vibrant paintings, created by peregrinos. 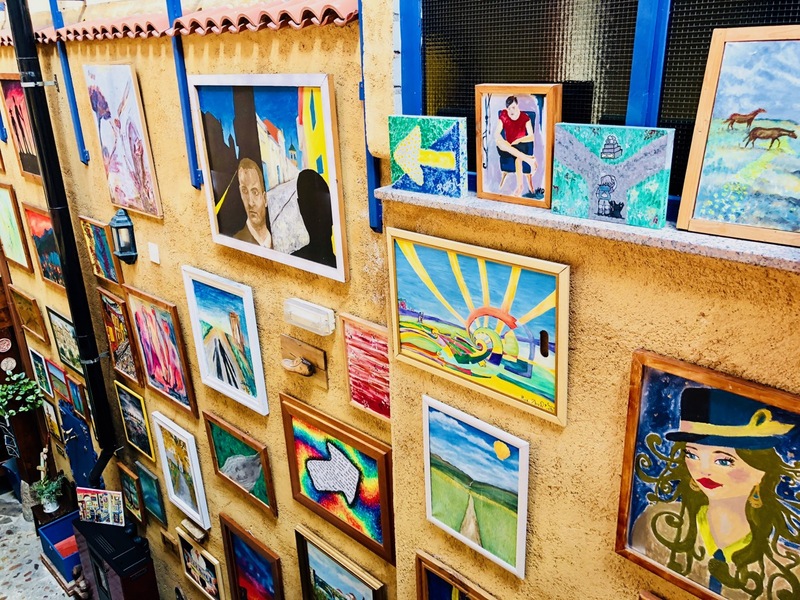 The paintings are colorful and full of life, and show just how artistic and inspiring the Camino can be. As you stand at the top of the stairs of the Albergue during midday, the sun shines on all the paintings and makes the entire room even more colorful than before. This inspiration and positivity are two things that I have noticed help tremendously when walking long days. 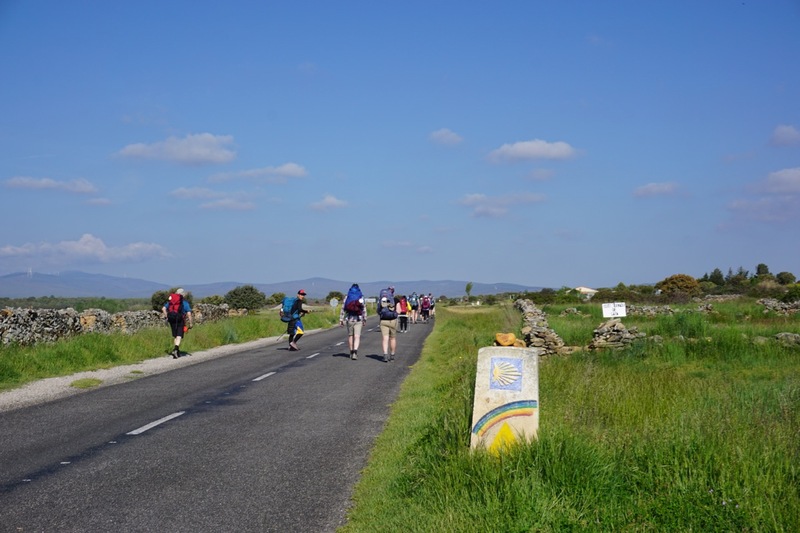 Although it is challenging, you have to be able to appreciate the beauty and simplicity of the Camino. The never-ending greenery and little towns make the walking and soreness just that much bearable. 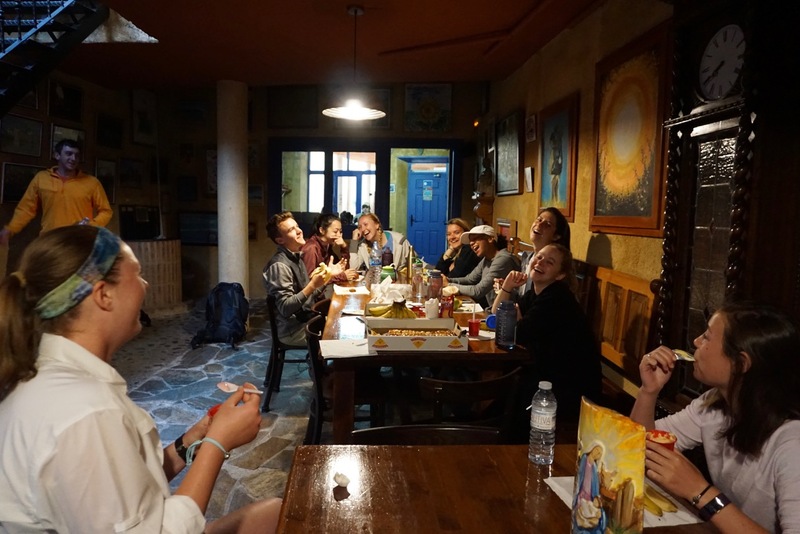 The Albergue de San Miguel and the colorful paintings that decorated each wall definitely made today’s walk bearable, and symbolized to me a beautiful light at the end of a long and flat tunnel. 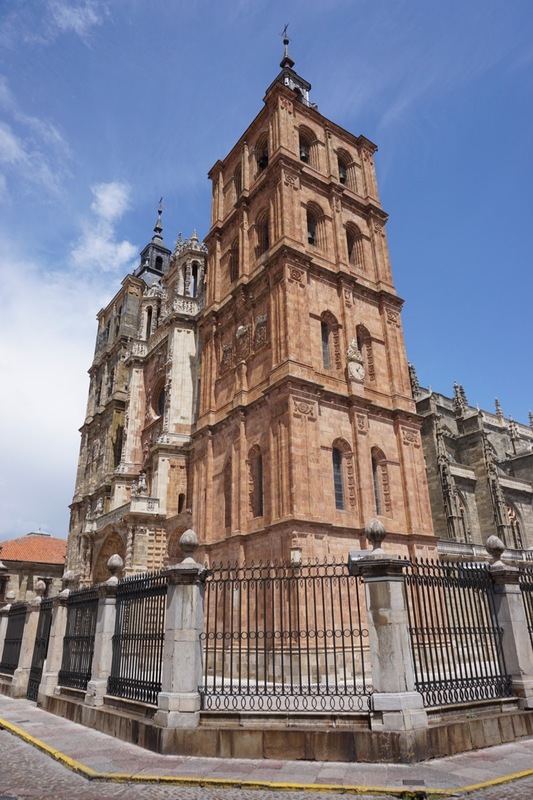 While in Leon, we got to see an absolutely amazing cathedral. During the day, we were able to tour it and learn all about its history. We analyzed the architecture and the art that was inside, and it was all gorgeous and I continue to be astonished by the quality and size of a building made so long ago. That being said, my favorite moment at the cathedral didn’t actually take place when we visited it as a group. Later in the evening, after dinner, a few friends and I decided last minute to take a walk around before going to bed and see the city at night. We went back to the cathedral again, but honestly it felt like we were seeing it for the first time. It was lit up, and stood in a stark contrast against the dark night. The three of us stared at it in silence, completely taken aback. Around us, the people of Leon visited with each other in the plaza, had drinks, and having a completely normal Saturday night. It made me think about how though they may not be over taken by the immensity and beauty of the cathedral, nonetheless they are drawn to it and it remains the center of the community. 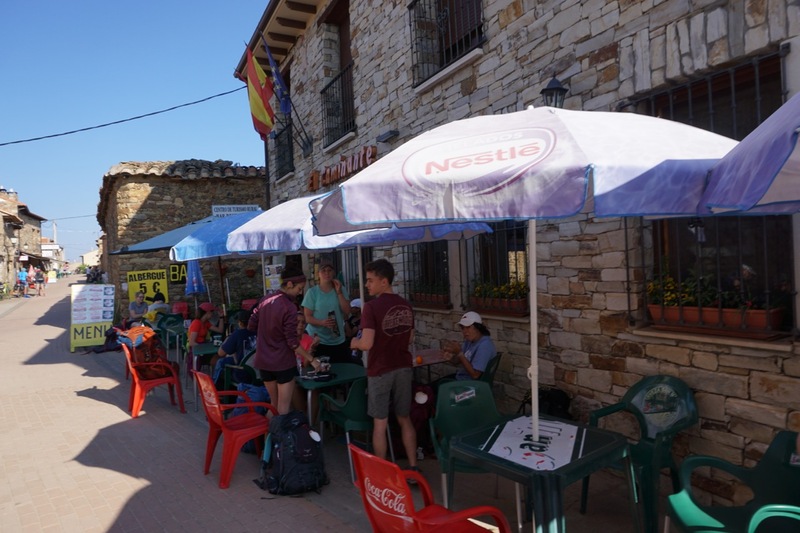 On 20 May we had a short-ish hike on pavement and then dirt roads to the town of Hospital de Orbigo (about 15 kilometers). Now straight on until you cross the medieval bridge!